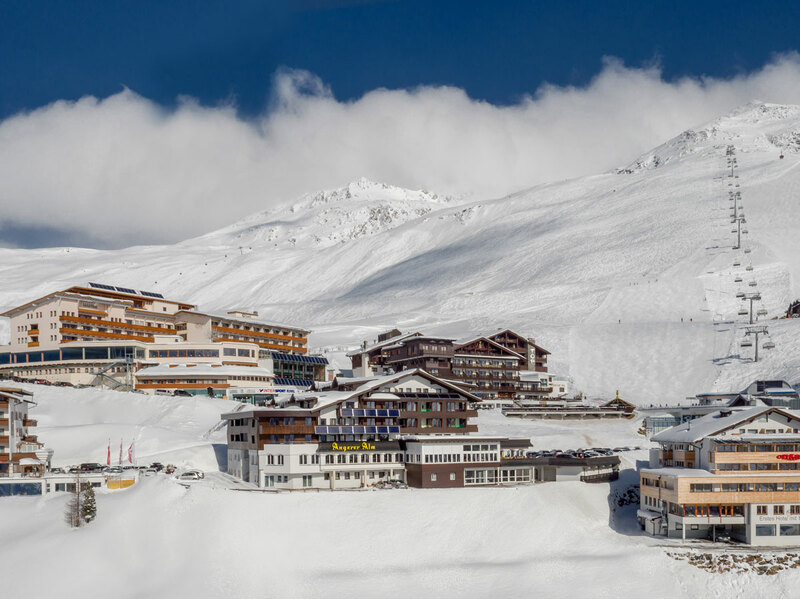 Our hotel is located at 2,150 metres altitude in the tranquil village of Hochgurgl. People come here for a reason. Away from all the hustle and bustle elsewhere in our valley, here you will find a quiet and relaxing spot for your winter holiday. In the middle of the ski region with the best snow conditions in the Alps. A top location in the truest sense of the word! The Ötztal Valley is located in the West of Austria, more exactly in the province of TIROL. It is a south-facing side valley of the Inntal. Enjoy a both comfortable and relaxing train ride to the train station in Ötztal Bahnhof. The public bus lines to all holiday resorts in the valley (direction Obergurgl) leave directly in front of the train station. The bus offering breathtaking views of the valley and its mountains. The nearest airport is Innsbruck at a distance of 94 km. From here you have daily scheduled flights to european destinations as well as many charter flights. Coming to the Ötztal valley by public bus line or taxi? No problem! A stress-free and comfortable journey is guaranteed thanks to Ötztal’s convenient location and its excellent network of roads. Here you can check more detailed information on bus schedules, taxi services, Ötztal Shuttles, and more. The local taxi companies are always at your disposal if you need a speedy transfer to the nearby airports or train stations.